Developing markets are increasingly growing and it can be expected that the centre of global economic gravity will change from the developed to the developing markets. The average growth rate of the developed markets is between 0.1-0.2 percentage points per annum for the period to 2050. For developing countries the growth rate is on average more than 3-4% per annum. While the developing markets are growing, they will go through this industrialization phase in which their economy will be predicted to be more energy intensive than the increasingly service-driven economies of the developed markets. Due to strong economic growth, China an dIndia account for half of the increase in world primary energy demand between 2006-2030. Based on growth of developing markets, PWC has developed a scenario of growth based on the developed and developing markets and created the Business as usual scenario linking GDP growth to energy consumption. 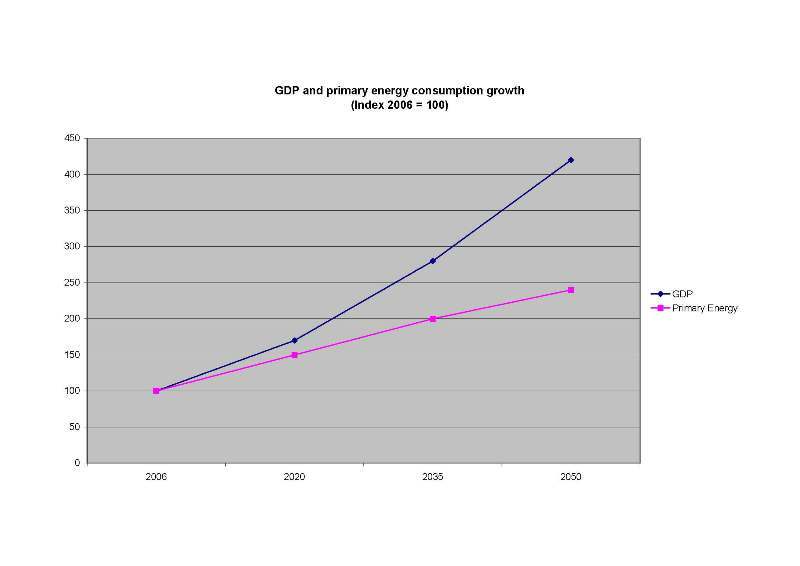 See below a growth that Gap growth is 3.4% per annum, in this way primary energy consumption is growing with 2% per annum. For the developing markets, for example India, it can be seen that primary energy consumption is highly linked to real GDP growth. 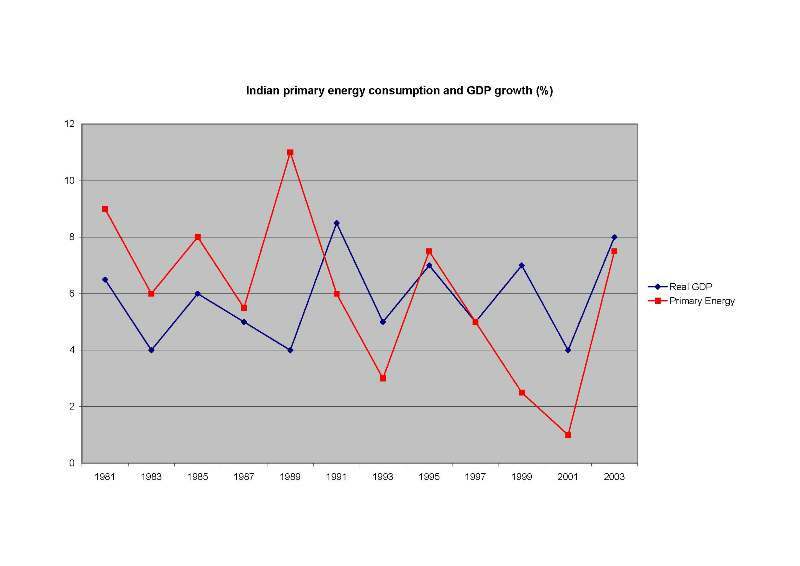 For the period from 1981 to 2003, the primary energy consumption has averaged only 0.2% per annum less than real GDP growth. This page was last modified on 17 September 2009, at 18:12.